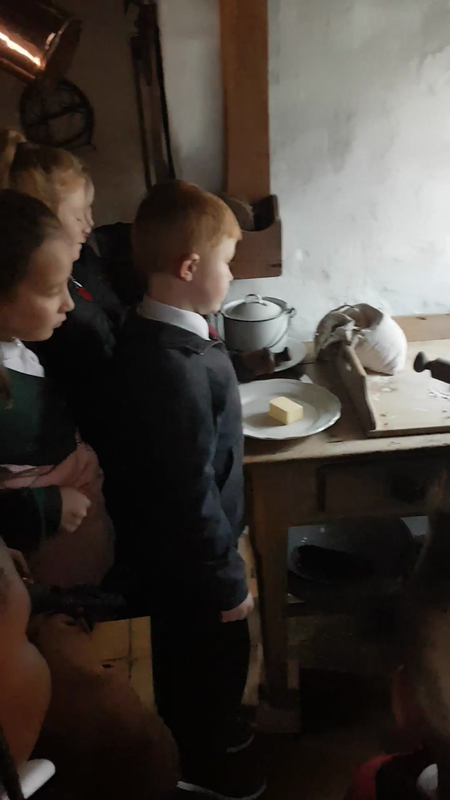 We learnt how the Victorians made soda bread from scratch. 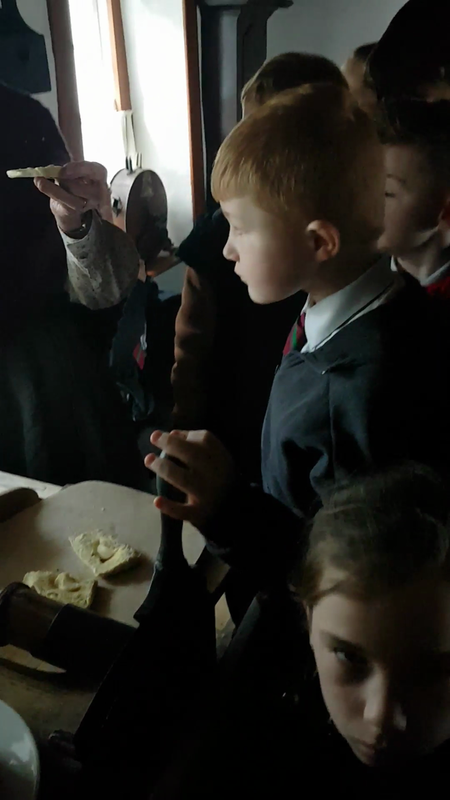 We mixed flour, milk, salt and baking powder together to make a soft dough. 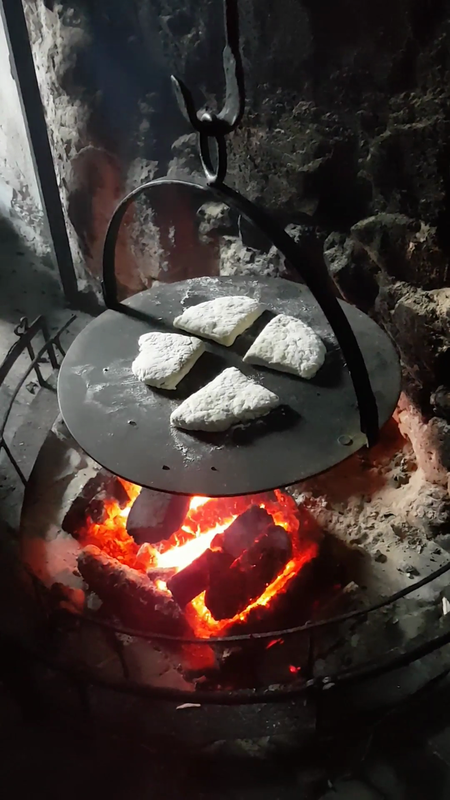 Then we cut the dough into four soda farls and cooked them on the hot cast iron griddle. They tasted yummy!